Before Passover, Chabad of Toronto creates a Model Matzah Bakery open to all. 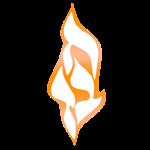 This spring, over 4000 children and adults from the local community, Jewish day schools,preschools, and Hebrew schools will have the opportunity to participate in our Model Matzah Bakery. The presentation begins with the children making their own flour to be used to bake their own Matzah. Then the workshop director reviews the story of Passover, discusses the making of Shmurah Matzah. 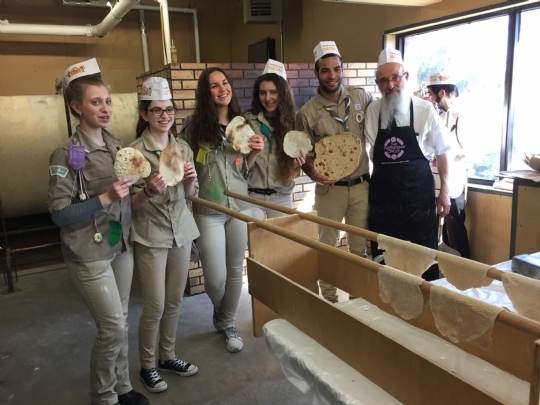 At the end of the program each participant receives a baker's hat and mixes the flour and water, kneads the dough, makes the perforations, and watches the matzah bake in the oven. 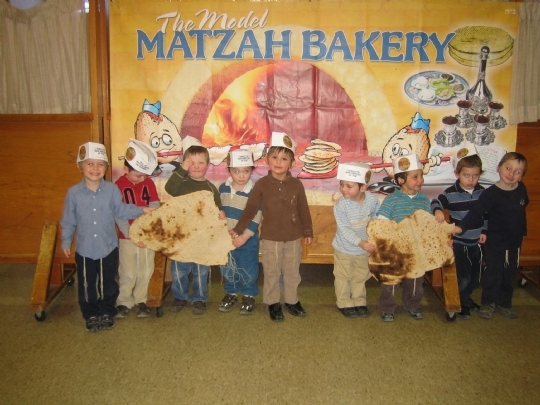 Within minutes, everyone receives his or her own freshly baked matzah.